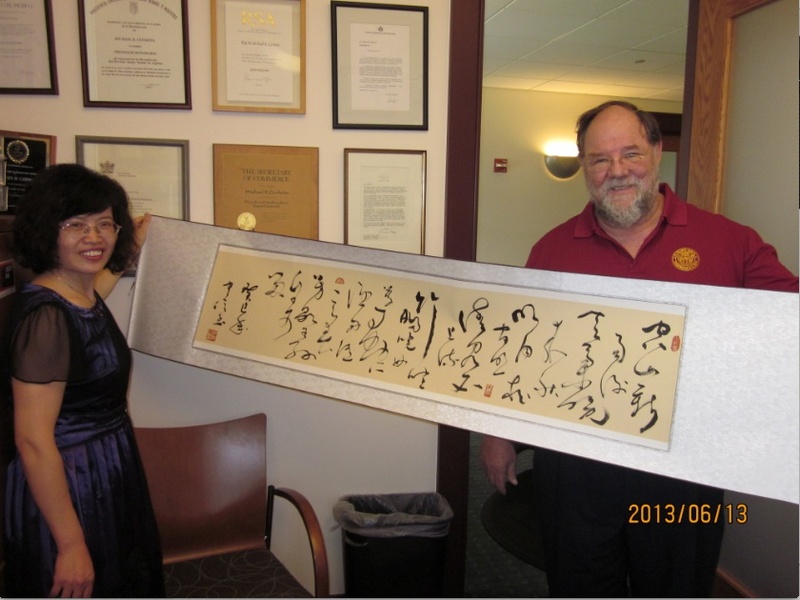 Dr. Czinkota receives a scroll with a Chinese poem written in calligraphy from Professor Youhua Lou. Below is the poem and its English translation. The poem describes the beauties of the mountain village in the sunset that is clear after the rain and the pure-hearted personality of villagers. The poet focuses on landscapes to express his satisfaction as a recluse who was a person of unsullied character and pursued the ideal state. The scents of spring may go; that’s Nature’s will. This season here attracts the noble still. Singapore is a multicultural society with a population of about 4.5 million. Many ethnic groups are represented in its population, for example Chinese (76.8 percent), Malay (13.9 percent), and Indian (7.9 percent), and many languages are spoken, for example Mandarin (35 percent), English (23 percent), Malay (14.1 percent), Hokkien (11.4 percent), Cantonese (5.7 percent), and Teochew (4.9 percent). Since its independence in 1965, Singapore has adopted four national languages, namely Mandarin, Malay, Tamil, and English. For business and politics, English is the language of choice. While Singapore claims to be an egalitarian society, Singaporeans retain strong hierarchical relationships that can be observed in the relationships between parents and children, teachers and students, and employers and employees. This reliance on hierarchy is drawn from Confucianism, which emphasizes respecting elders and status. This cultural value translates to a more formal approach to business in Singapore than in many Western countries. Having “face” and giving “face” to others are important aspects of both social and business interactions in Singapore. As such, Singaporeans tend to be subtle, indirect, and implicit in their communications. They hint at a point rather than making a direct statement, since that might cause the other person to lose face. Rather than saying “no”, they might say “I will try.” This allows the person making the request to “save” face and thus maintains harmony in their relationship. Singapore has a group-oriented culture, so links are often based on ethnicity, education, or working for the same company. Most Singaporeans are soft-spoken and believe a calm demeanor is superior to a more aggressive style. Punctuality is a virtue so you should arrive at meetings on time. Business cards are exchanged after the initial introductions. Business cards are exchanged using both hands. Examine business cards carefully before putting them in a business-card case. Treating business cards with respect is essential as this is a signal to Singaporeans as to how you will treat the relationship. When business gifts are involved, there are a few things to note that depend very much on the ethnic group of the recipient. If the recipient is Chinese, one should avoid giving clocks as they are associated with death, and avoid wrapping gifts in white, blue, or black as these are mourning colors. If the recipient is Malay, so not give anything made of pigskin as Malays are Muslim; do not give alcohol; give halal goods only; and avoid white wrapping paper as it symbolizes death. Finally, if the recipient is an ethnic Indian, avoid giving bouquets that include frangipani as they are used in funeral wreaths; avoid wrapping gifts in white or black; and avoid giving leather products to a Hindu. In all cases, do not expect the recipient to open the gift when received as this is not courteous in Singapore’s culture. Likewise, do not open the gift received from a Singaporean in front of him or her unless you are asked to. For more information, refer to Fundamentals of International Business: 1st Asia-Pacific edition by Michael Czinkota et al. Have a great start to the week with this iconoclast! 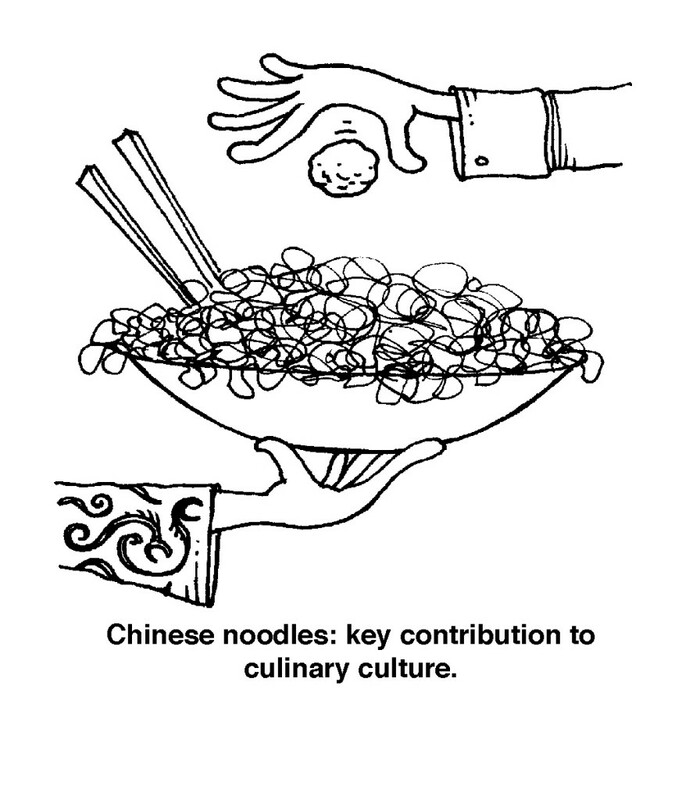 What is the last course in an authentic Chinese meal?